If you're interested in settling your tax debt for less through the Offer in Compromise program, you need the help of an experienced tax resolution firm to navigate the process. Top Tax Defenders has 27 years of experience working with the IRS to help clients find a solution to their tax problems, including negotiating debt down through an Offer in Compromise. 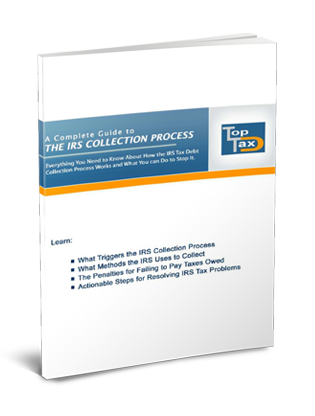 Everything you need to know when the IRS comes collecting. "Top Tax Defenders went above and beyond for me. They maintained a level of professionalism while being very friendly. They addressed all of my questions and concerns and were extremely knowledgeable about all areas of tax preparation. I look forward to working with them again in the future."